Today I went to Toyota motors for First Free Repair on completing 1k on odo of my 2010 Gli. The tech guy advised me to install some cover (avalaible in market) on the ECU to prevent accidental spilling of some liquid over it (accidental because all of us know that no one will throw water or some liquid over it by will). The cover will not only protect the ECU from liquid but also heat generated by engine inside the hood. So guys, searched the market and found an ecu cover for PKR 300 and installed it over ECU. 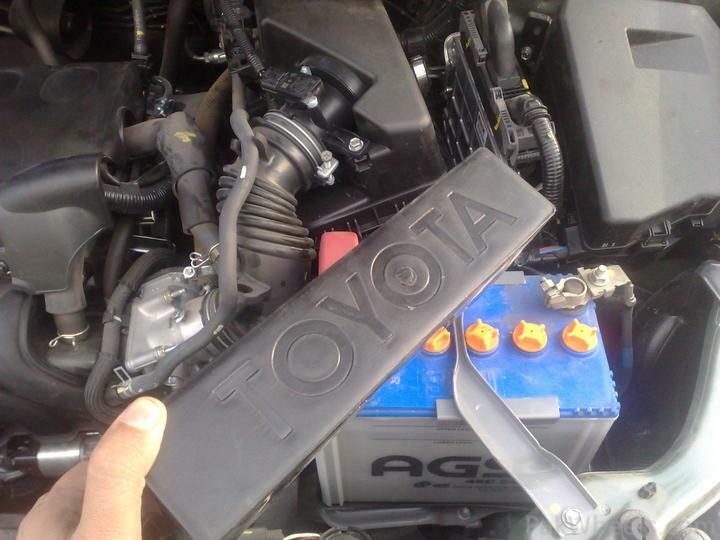 I advice all new corolla owners or owners of those vehicles with exposed ECU in the Hood to get it ASP. The local Shopkeepers know this with the name “COMPUTER COVER” and the ecu already got a slot to get the cover bolted over it. It is highly recommended for everyone to install this cover as the ECU is inside the hood in the latest model of Corolla whereas the previous model had its ECU installed in the driver’s cabin so it can be kept cool and out of harms way but I guess cost cutting made them put this vulnerable and costly item here in the engine bay.